Tom Cruise is the biggest movie star in the world. That must never be doubted. Well over three decades and he’s still delivering smash hit blockbusters. His career started before I was born, yet he’s as relevant now as he’s ever been. Despite the media, despite the critics, the great man is still on top. As anyone knows, Tom Cruise is also the most varied star in movies, hopping from one genre to the next, with almost equal success. An 80’s icon thanks to ‘Top Gun’, a celebrated romantic thanks to ‘Jerry Maguire’ and a comic genius thanks to many of his movies, especially ‘Tropic Thunder’. 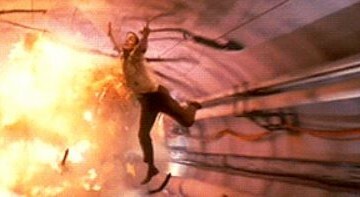 But for me, the true birth of Tom Cruise began in 1996, with the first ‘Mission: Impossible’ movie. While I loved much of what he did before, like ‘Days Of Thunder’ and ‘Rain Man’, to see him front an action movie as a genuine action star was a revelation. To mark such an incredible career in action cinema since that first Mission, it’s time to look back at over the career of an action hero who continues to deliver one action-packed blockbuster after another. 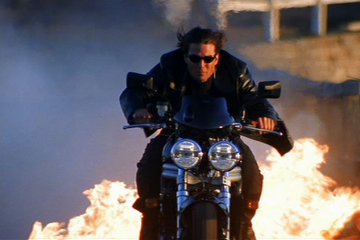 Here are the top 5 greatest Tom Cruise action movies. LET’S GO! Steven Spielberg joins Tom Cruise once again, after the wonderful ‘Minority Report’ (which narrowly missed out in this list), to remake this classic sci-fi adventure. Cruise stars as Ray, a divorced father who is taking care of his children for a few days. When a catastrophic event occurs, Ray is drawn into a desperate battle no one could ever believe. Aliens have come to destroy earth and its population. With the world ending, Ray must get his children to safety in the road trip from hell, as everyone around them is slaughtered at the hands of the doomsday visitors. Everyone knows Spielberg is the greatest filmmaker of all time. But pair him with the biggest movie star and you get pure movie magic. ‘War Of The Worlds’ is blockbuster cinema at its best. Tons of epic action scenes, spectacular special effects and a terrific supporting cast, including Dakota Fanning and Tim Robbins, this movie is everything special about cinema. William Cage, a military officer with no combat training, has his life stuck on repeat after being forced into battle against an alien invasion and killed by one of the deadly creatures. With his day beginning over and over each time he’s killed, he is given the opportunity to save the world, with training from war hero, Rita (Emily Blunt) and gathering information against earth’s deadliest foes. 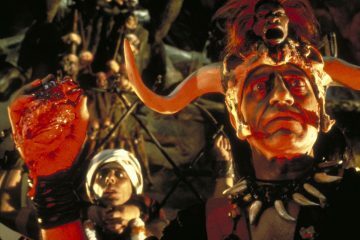 Cult movies are rare these days. In olden days, a studio could put out a movie, have it tank, but then years on it would gather momentum on home video, becoming a strong favorite among movie fans. But now, when a movie flops at the box office, it pretty much fades away entirely. 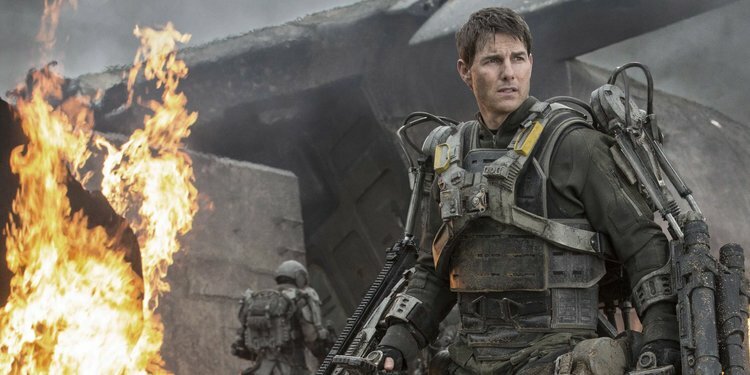 But thanks to Edge Of Tomorrow’s incredible action and terrific performances from Tom Cruise and Emily Blunt, this is one movie that didn’t quite make what it deserved at the box office (Although the guts of $400 million is hardly terrible either), but is now a strong classic among Cruise fans and sci-fi buffs everywhere. Powerful and action-packed, one of the great man’s greatest movies. The unbeatable Jack Reacher hits the big screen once again, this time to defend a close friend from the army, Major Susan Turner, who has been accused of murder. Desperate to clear her name, Reacher and Turner flee from the authorties, racing across New Orleans, determined to find the people responsible for the frame up. And the pair have company, in the form of Reacher’s possible daughter, Samantha. With the two most important people in his life in mortal danger, the deadly Reacher is ready for an all-out war. Lee Child, author of the Jack Reacher novels, has always been vocal in some ways of his thoughts on Tom Cruise as his literary creation. But recently, he’s stepped forward and stated that Cruise is too short to play the character, and will never do so again. I put this argument forward, I like the Reacher books, but I absolutely adore the movies. Not one of those books can compare to the high energy and stunning action scenes of these movies. Tom Cruise may not be 6ft 4inches, but he’s all a great action movie will ever need. Never Go Back is proof of that. Five targets. 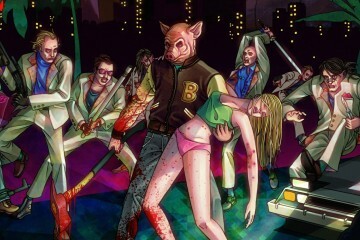 One killer. One driver. No way out. Vincent has arrived in Los Angeles, with a hitlist to be completed by night’s end. Max is a taxi driver, with dreams beyond his reach. What he never dreamt was that he’d spend the rest of his life as a chauffer to a brutal killer, who intends to complete his deadly mission, taking out his five targets, then ridding himself of the killing spree’s only witness. But Max is not going out without a fight. Hunter and prey are about to clash in an epic showdown L.A. will never forget. 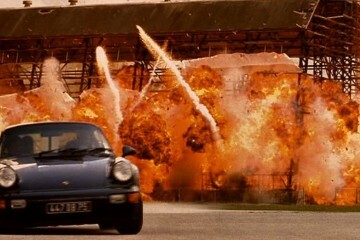 Until recently, ‘Collateral, was my number 1 favorite Tom Cruise movie. Brilliantly written, unbearably exciting and still Cruise’s finest performance, this is a hard movie to top. I don’t throw around the word “perfect” a lot, but ‘Collateral’ is utter perfection. With a stunning performance from Jamie Foxx also, and iconic director Michael Mann at the helm, this is one movie everyone needs to see. Tom Cruise returns for the latest entry in the Mission: Impossible franchise, as his most successful character Ethan Hunt. This time, Hunt must retrieve stolen plutonium from the hands of terrorists who plan on using it to bring the world crashing to its knees. With time ticking away and the deadly threat looming closer, Hunt and his loyal team of IMF agents race against the clock to save the world as we know it from annihilation. I’ve adored the Mission: Impossible movies since they began all those years. They’re bold, beautiful and jammed full of the most joyful action any cinema goer could ask for. But last year, in what seemed like a true Mission: Impossible, Tom Cruise and everyone involved in this sixth movie absolutely outdid everything they’d done before. A big beefy gorgeous blockbuster, with action scenes so breathtaking no viewer can stop from swooning and the most energetic performance Tom Cruise has ever given, ‘Mission: Impossible – Fallout’ is everything I’ve ever loved about movies. With brilliant performances from everyone, including the wonderful Michelle Monaghan (I begged for so long that she return in a big way to the series), epic direction from the mighty Christopher McQuarrie and an incredible soundtrack score from Lorne Balfe, this is hands down the greatest action movie of the 21st century! We hope you’ve enjoyed this brief look at the magnificent action career of Tom Cruise. If you’ve any thoughts on the chosen movies or his action career overall, drop a comment below for a chat.